Fast Track Custom | Robert Evans Co.
Our Fast-Track Custom model provides a path for the region’s small business owners toward their next building. We harness the power of alignment with a streamlined process, making it possible for you to confidently plan a space that reflects your vision and operations. small businesses and land owners. and accelerate the project timeline. Fast-Track Custom makes sense for small businesses and land owners. We create transparency, eliminate multiple fees, and accelerate the project timeline. Choose from multiple financing options. We can guide you in structuring the financing that works for you, whether you want to purchase, lease to own, or lease long-term. Meet your single point of contact. Because Robert Evans Company owns the process start to finish, we are your single source of solutions throughout the project. Make the space your own. Being a part of the process from the ground up means you can customize your space to operate as effectively as you do. We have already taken care of the initial phases of permitting, which accelerates the process by 4–6 months. Be proud of your building. The bedrock of our company is our team’s commitment to building legacies we’re as proud of as their owners. We understand this endeavor can be daunting to business owners. You can rely on our expertise to guide you through it. 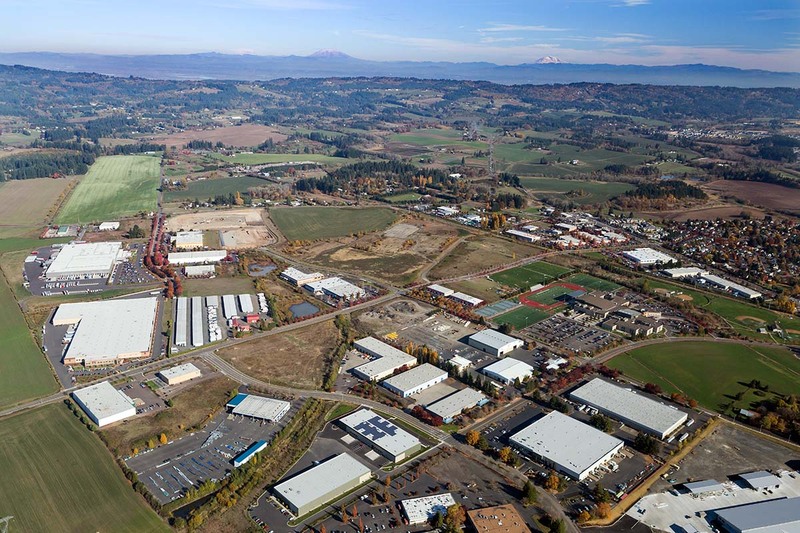 Our next Fast-Track Custom Project is located in Hillsboro, Oregon—and we’re ready to break ground when you are. Download the project flyer below to see financing and customization options that make sense for your business realities and ambitions. Learn more about the Hillsboro project. Working with local landowners we have secured the sites listed below for Fast-Track Custom developments in 2019 – 2020. Contact us to learn more. This 12.74-acre plot gives easy access to US Highway 26 and Cornelius Pass Road. Its zoning allows for a wide range of uses including office, manufacturing, and warehousing as well as commercial support services. These 16 acres are in a neighborhood with the Genetech, Adobe, Sunpower, and Intel campuses, and within 1/2 mile of the PGE Shute Substation. Additional adjacent acreage may also be available. Fast-Track Custom creates meaningful business partnerships that will stand the test of time. We can connect you with business owners whose vision for their next building aligns with your values, and structure a transparent, rewarding agreement. Contact us below to get involved. Contact Robert Evans Company to get involved in the next Fast-Track Custom project.